Haden first achieved fame in the late-50s playing with Coleman on such indispensable recordings as The Shape of Jazz to Come and This is Our Music. 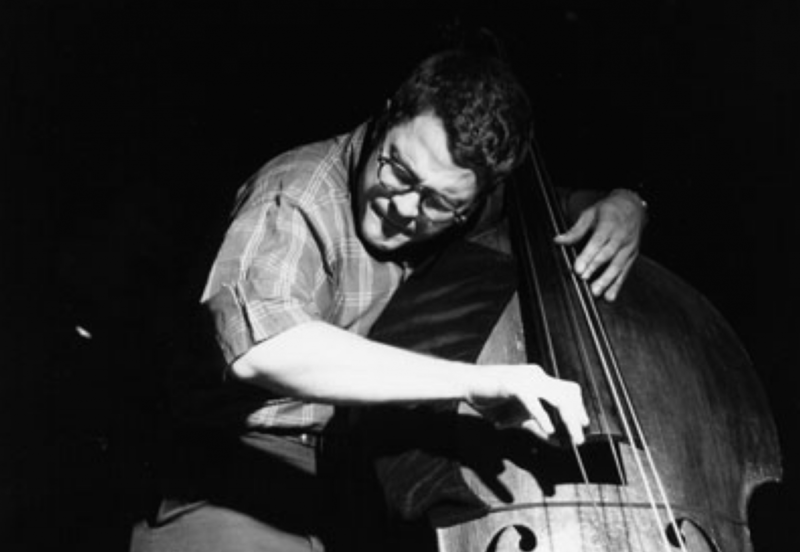 In the late-60s, Haden founded the Liberation Music Orchestra, a radically political free jazz ensemble; which included pianist-composer Carla Bley. He would later go on to further notoriety as a key member of Keith Jarrett’s early/mid-70s group. Haden was born into a musical family. Making his first public appearance at 22 months, as a member of the Haden Family; a country music group which included his parents, brothers, and sister. Childhood polio injured his vocal cords and ended his singing career, but he continued to play the bass. But honestly, we could only scratch the surface in this space here. Slate.com offer a more thorough and thoughtful obit here. Haden’s offspring are as musical as his parents and siblings were. His triplet daughters — Petra, Tanya, and Rachel — have made records as solo artists, as well as in bands together in various combinations; including as The Haden Triplets. Below is a clip of Keith Jarrett from 1972, in which Haden gives one of the deft and lyrical solos for which he was so widely and rightfully celebrated. A real treat, and a terrible loss.